Editor’s Note: This article contains spoilers from ABC’s Medical Drama, Grey’s Anatomy’s Season 15 Episode 6. Last week on Grey’s our hearts were warmed by seeing all of the characters coming together to help each other. Let’s see if we’ll see the same or drama will ensue this week. We start off the episode with the celebration of Dia de Los Muertos when Dr Bailey’s son is talking about what the holiday is and we see Meredith’s daughter dressed up with her face painted like a skeleton. I thought this was endearing and in the spirit of an overlooked holiday. Perhaps this relates to the episode title “Flowers Grow Out of My Grave”. We also see a Mexican family celebrating the holiday with their daughter who is a patient that needs to have her gallbladder removed. I thought that including this family and a part of Mexican culture was important and show the cultural diversity of Grey’s Anatomy. Through this family, we’ll be able to see more about Dia de Los Muertos and how it ties into this week’s theme of death. 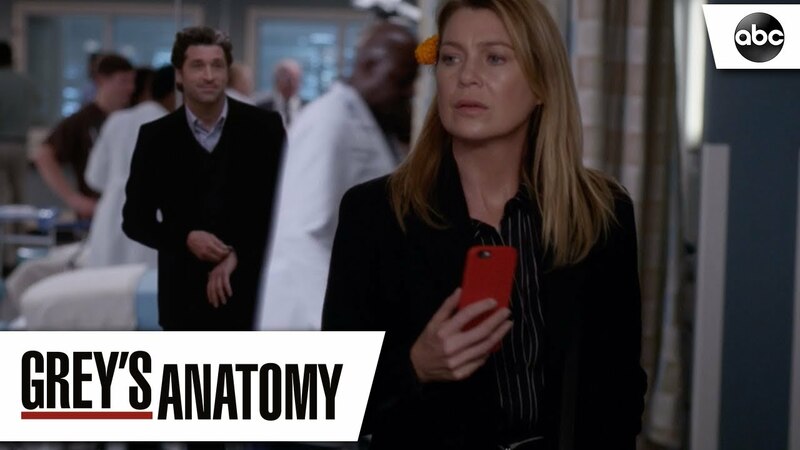 Death seems to be all around in this episode when Meredith finds out that her father is dying of AML (Acute Myeloid Leukemia). She is not close to her father and hasn’t talked to him since Lexie died. She is unsure how to feel since he hasn’t made an effort to be in her life. 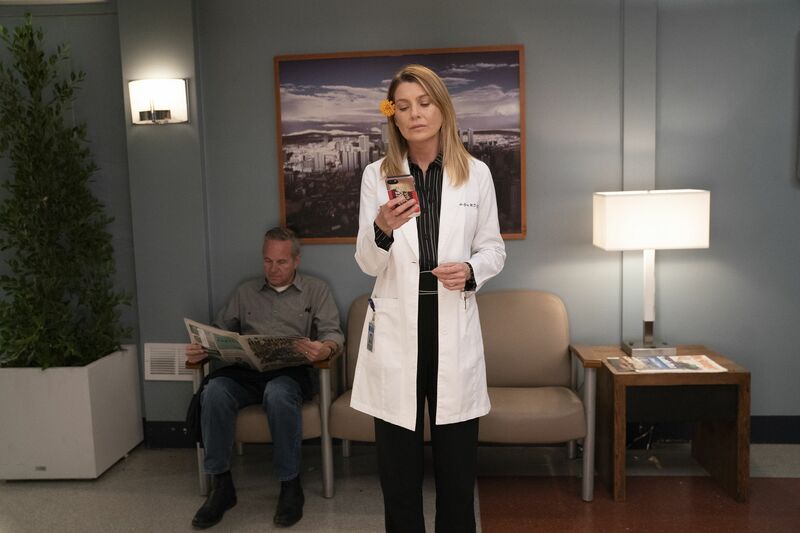 In past seasons, Meredith has not dealt with the deaths of relatives and loved ones well and it doesn’t seem like she will deal with her father’s any differently if he passes away. I do hope that he doesn’t pass away and Meredith is able to rekindle a relationship with her father. As for Maggie, there is no rekindling a relationship with her mother who passed away in season 13; in this episode, she is just reminiscing her. It seems that everyone is dealing with death in a different way. In romance news, we see some sparks flying between Schmidt and Dr Kim when Dr Kim impulsively kisses Schmitt in the elevator. I really did not see that one coming at all. But the moment is cut short when someone enters the elevator and when Schmitt says that that was his first time kissing a guy. This immediately turns off Dr Kim as he didn’t know Schmitt wasn’t out of the closet. But what made this scene even more important is that the actor who plays Schmitt, Jake Borelli, came out as gay in an Instagram Post just after his character did. This is really amazing considering he is one of the first gay male doctors on the show. Meanwhile, Owen and Amelia seem to be getting closer over the craziness that their foster children have put them through; throughout this whole episode, they have been searching for Betty who left school and has gone missing. We see another heartwarming scene when Dr Lincoln comforts a mother who found out that her son has a mild tumour. He reveals that he had the same tumour when he was younger but survived. He also comforts the scared boy when he asks if he’s going to go bald by cutting off pieces of his hair to make the boy laugh. This shows that Dr Lincoln really cares about his patients, especially the young ones. I thought that this was an important scene because we got to see more of Dr Lincoln’s personality in this episode and learn a bit about his background. Through this storyline, we see how Dr Lincoln defeated death and how he’s going to help another kid defeat it. Another character who seems to be surrounded by death is Dr Bailey. After her recent heart attack, she is trying to keep all stressors out of her life, but this is hard when her main stressor is her husband Ben and her concern for his safety. As he is now a fireman, he is in constant danger at work and Dr Bailey is always worried that he is going to get hurt and even worse die. Dr Bailey is constantly reminded of death when one of her patients, who has been waiting years for a liver, kept obsessing over her own funeral and was positive she was going to die. Luckily, Dr Bailey and Jo were able to get her the liver she needed and save her life. It’s hard for any of the characters, especially Dr Bailey, to not think about death when they’re constantly surrounded by it. The theme of Dia de Los Muertos and the death of loved ones plays a very heavy influence in this week’s episode of Grey’s. Every character has dealt with the death of a loved one and we are reminded of this when we see pop-ups of past characters: George, Lexie, Derek, Mark and even Meredith’s dog Doc. This really hurt and it’s safe to say I was crying by the end of the episode. And the crying got even worse when they played a Spanish version of “Chasing Cars”, which any fan of Grey’s knows as the sad song of the show. Overall, I really enjoyed this episode and the inclusion of Mexican culture. Being Mexican myself it was nice to see a part of my culture represented on television. We also got to learn more about the new characters which we’ve been waiting on. This was a really well-rounded episode and I’m looking forward to next week’s episode. Tune in next Thursday to watch Grey’s Anatomy on ABC at 8/7c!